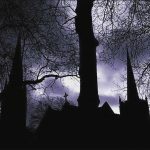 Grand Rapids Ghost Hunters is a group devoted to helping families and individuals dealing with paranormal activity. I am a pastor and I have seen first hand the oppression that can consume an individual or family when a “spirit” or “ghost” or “demon” is present. My friend and paranormal research partner Wayne has also experienced paranormal oppression. Together we strive to accomplish two tasks. First and foremost, we want to help people understand what is going on and assist them in getting rid of negative paranormal entities. Second, we want to collect evidence of these paranormal entities to prove that they exist.